Havn't been around here for a while.. so figured out its good time to refresh the blog a bit. Last 3 months were crazy.. I've been getting myself involved in quite intresting side project, The Hunt For Gollum. 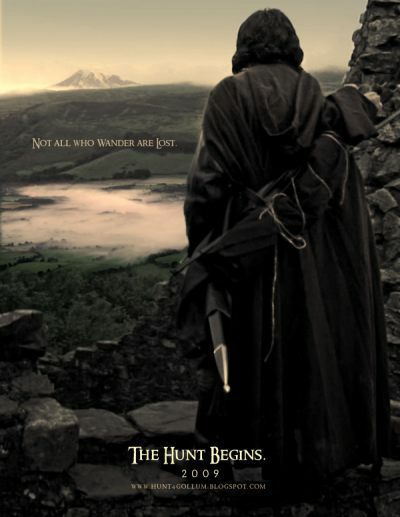 TH4G is a free online movie made by Tolkien's enthusiasts, 40 min long. What made this project special for me is not only the way it presents itself (it looks really awesome! ), but also a great team of artists that have been involved in post production (that includes a couple of workers from Framestore). My work for the project included couple of matte paintings as well as beeing Matte Painting Supervisor and running small team of talented and really cool artists. Posting an example here and you can find more of it on my website. very cool project, looks awesome! WOW! You do _beautiful_ work! Can't wait to see the whole film!